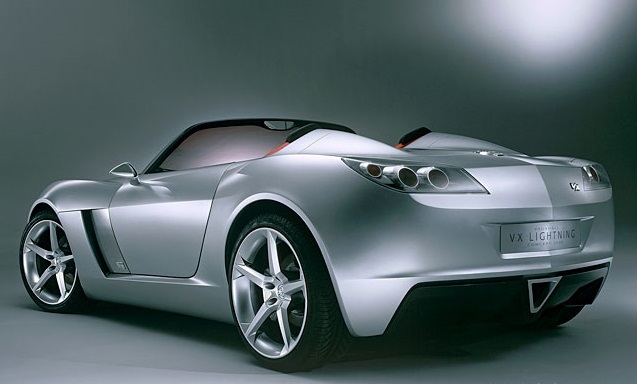 In order to go into a detailed description of the Vauxhall VX Lightning Concept it is necessary to go back to the inception of the Kappa platform. 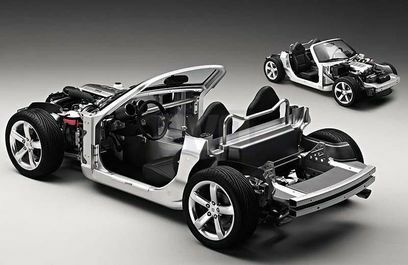 The General Motors Kappa platform was designed specifically as a sub-compact rear wheel drive chassis for open top roadster applications. 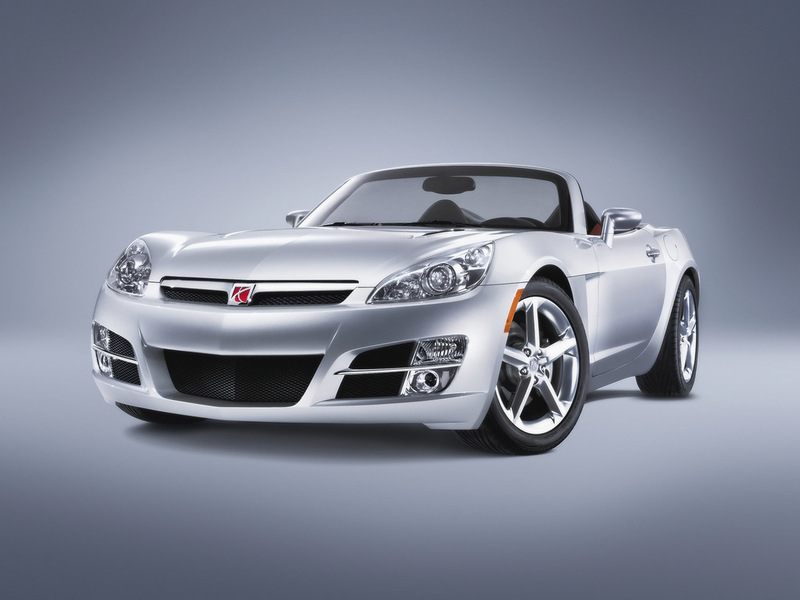 The architecture first debuted as a production vehicle in 2006 as the Pontiac Solstice, in 2007 as the Saturn Sky and then as a re-badged Sky in the form of the Opel GT for Europe. It was also sold in South Korea as the Daewoo G2X. 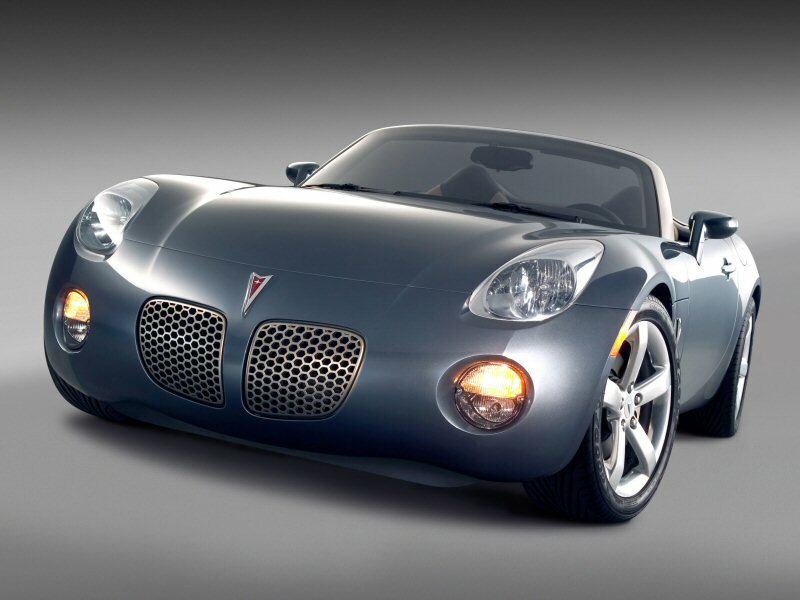 A hardtop coupe version of the Pontiac Solstice was produced briefly for the 2010 model year until Kappa production ended with General Motors filing for bankruptcy in July 2009. s a result the Kappa platform was sold to Spanish Car maker Tauro who now use the chassis for their production roadster the Tauro V8 Spider. architecture, and is designed for a short-long-arm suspension front and rear. It features rear wheel drive, longitudinal-mounted transmission and front engine mounted well back for weight distribution. GM claimed that the platform was only designed to accommodate the ECOTEC Family II engine as well as only being able to be LHD. 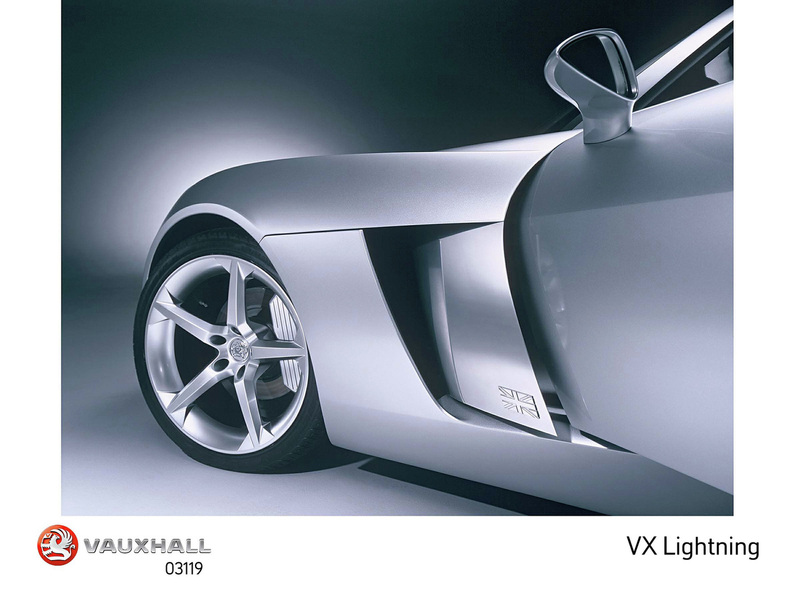 The VX Lighting idea came about at the 2002 NAIAS with a meeting of Kevin Wale Vauxhalls Chairman & Managing Director and former Vauxhall design chief Wayne Cherry Vice President GM Design. 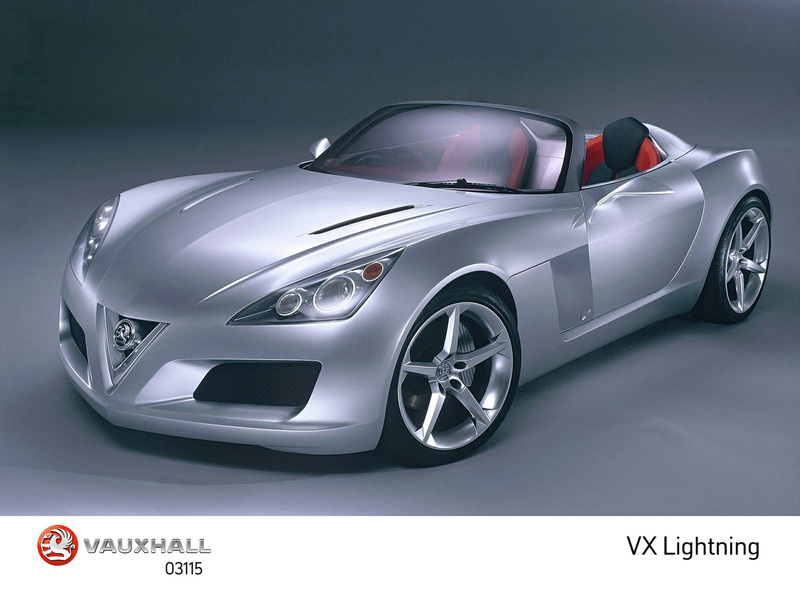 The idea was to create a concept to celebrate Vauxhall’s 100th birthday based around the same idea as the Pontiac Solstice Concept. Wayne Cherry gave the go ahead there and then. 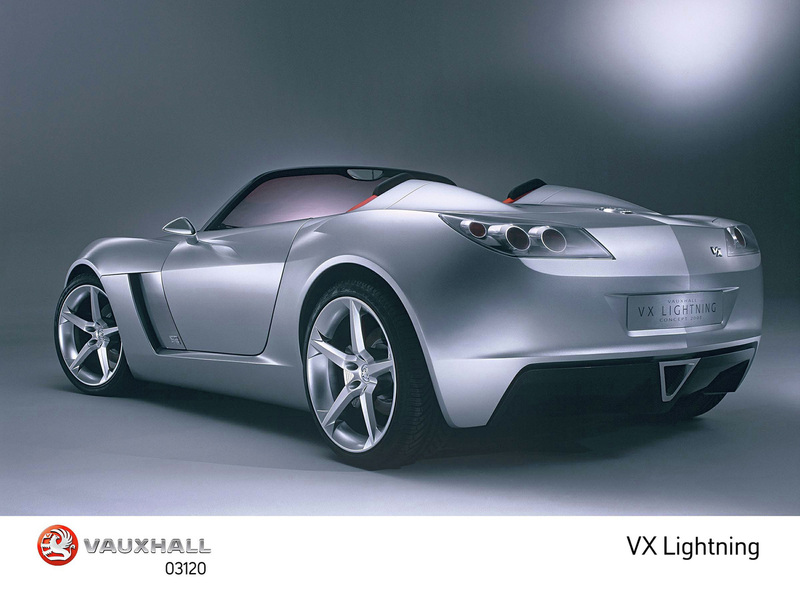 Almost a year later, on 14 May 2003, Vauxhall unveiled the VX Lightning concept at the Dorchester Hotel in London. 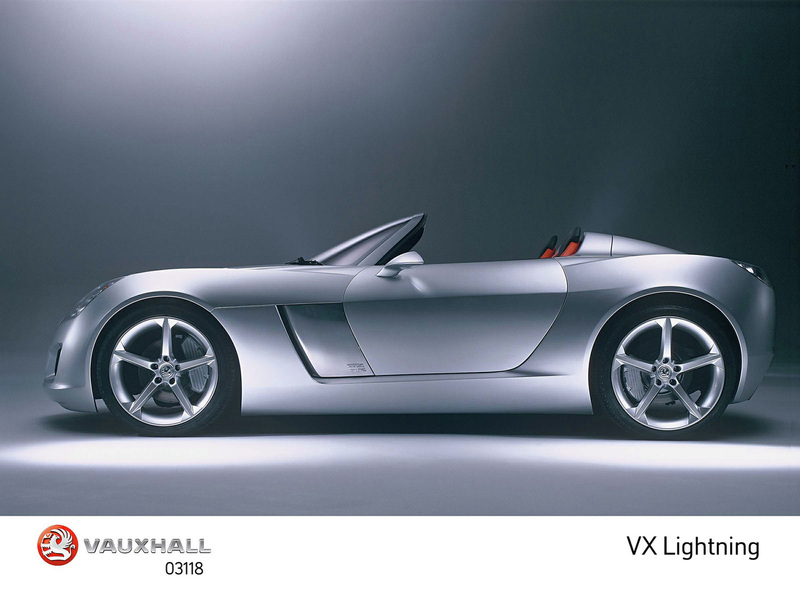 The Vauxhall Lightning Concept was a joint project between the GM North America (GMNA) Advanced Design Studio in England and the Vauxhall / Opel Design Centre in Rüsselsheim, Germany. 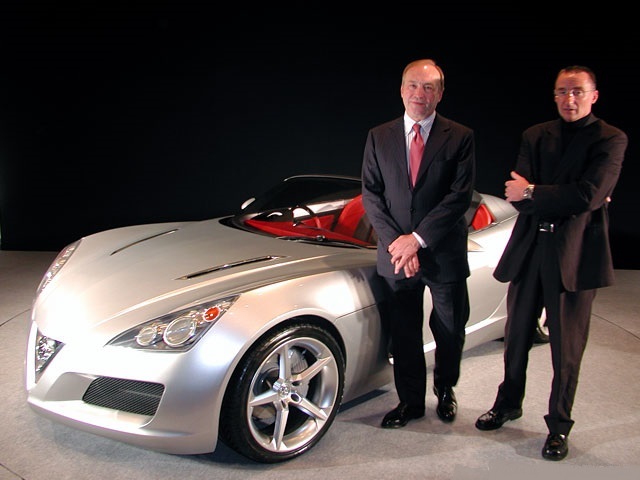 The programme was initiated by Wayne Cherry and carried out under the overall direction of Anne Asensio, Executive Director of Advanced Design, and Martin Smith, GM Europe Director of Design at the time. 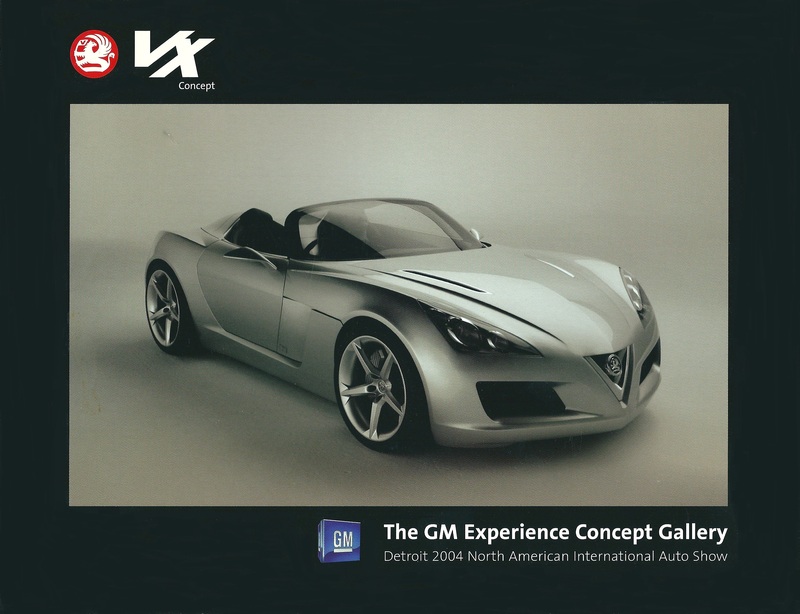 The Lightning was designed and developed at the relatively small GMNA studio in Birmingham (which alas is no more). 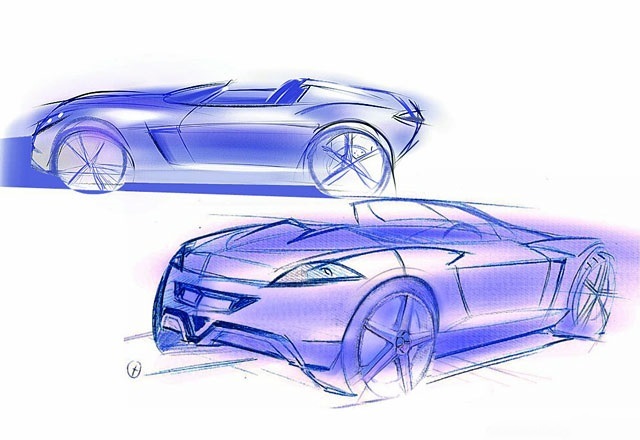 The team was headed by GMNA Advanced Design Director and chief designer on the Lightning, Simon Cox and the Vauxhall / Opel Design Centre in Rüsselsheim, Germany. 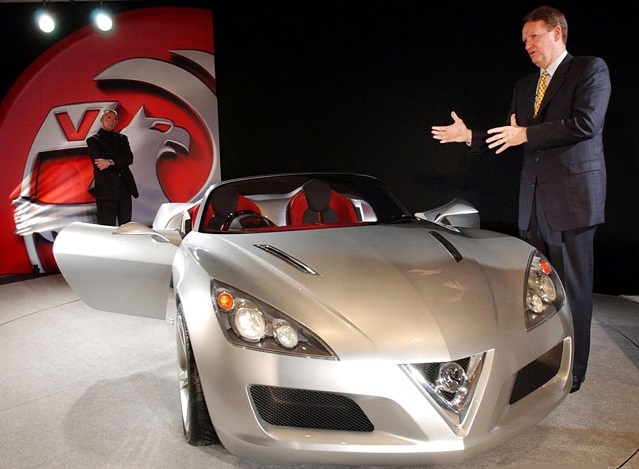 The programme was initiated by Wayne Cherry and carried out under the overall direction of Anne Asensio, Executive Director of Advanced Design, and Martin Smith, GM Europe Director of Design at the time. 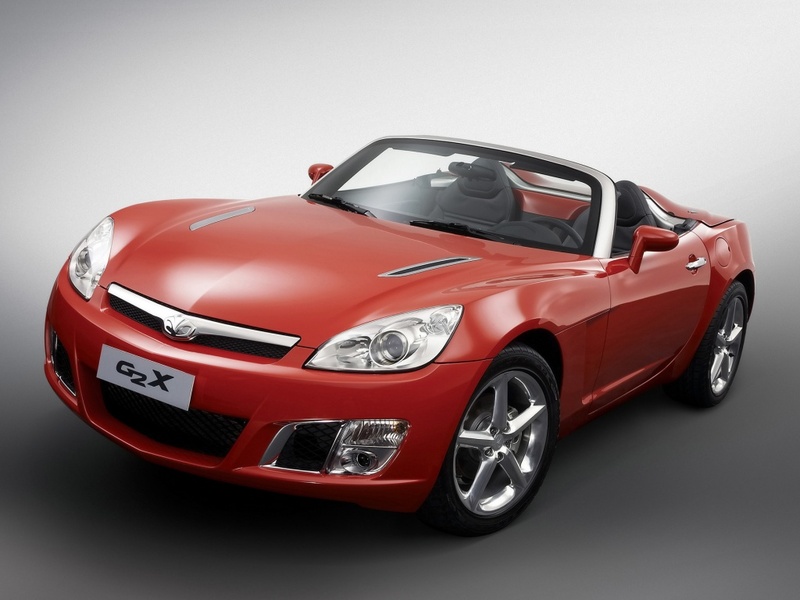 The team was headed by GMNA Advanced Design Director and chief designer on the Lightning, Simon Cox. 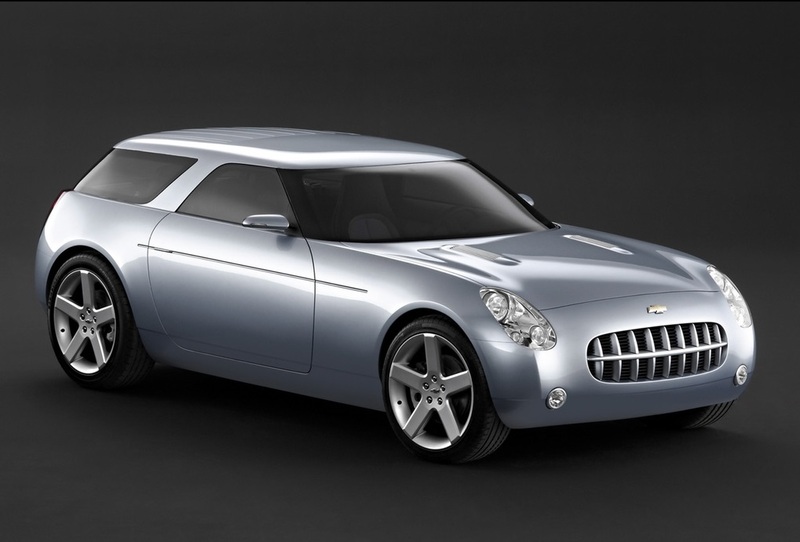 The joint design team included Opel Advanced Chief Designer Stefan Arndt, Dale Grewer (exterior), and Jochen Werner (interior). As a commemorative vehicle the emphasis in the grille and elsewhere was the Vauxhall 'V' motif. 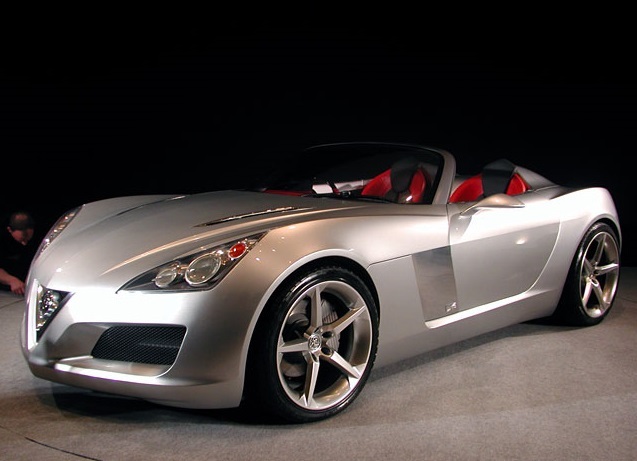 It provides a bold front, as the front fascia flares back with two hood lines completing the arrow-like shape that seems to drive the long-hooded vehicle forward. 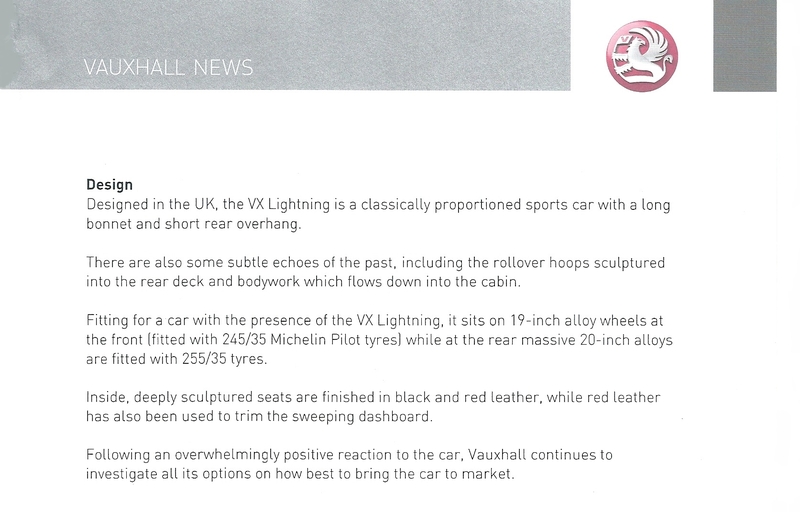 Reinforcing the 'V' theme is the creased centre line of the bonnet, rear deck lid and facia. 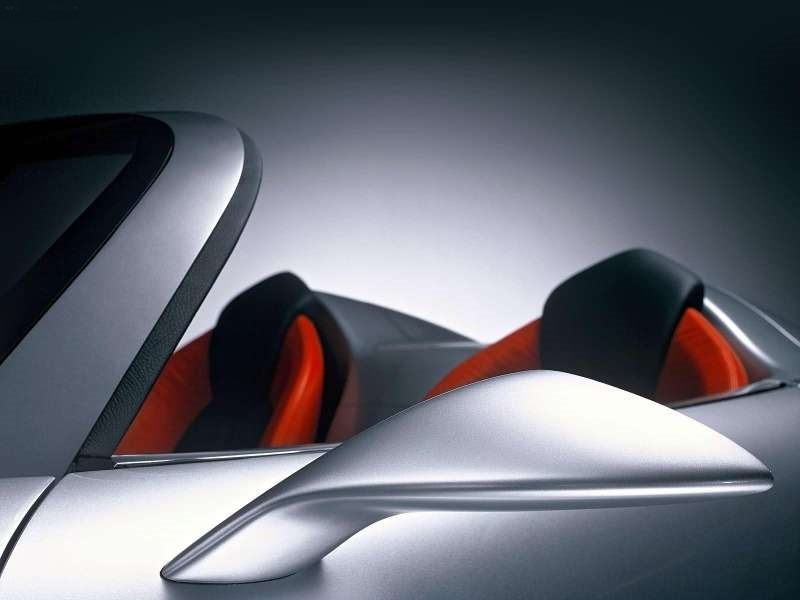 The angular headlamps continue the themes introduced on the VX220, integrating with the dramatically peaked front wings. In classic British roadster style, the bonnet is long and the rear overhang short. 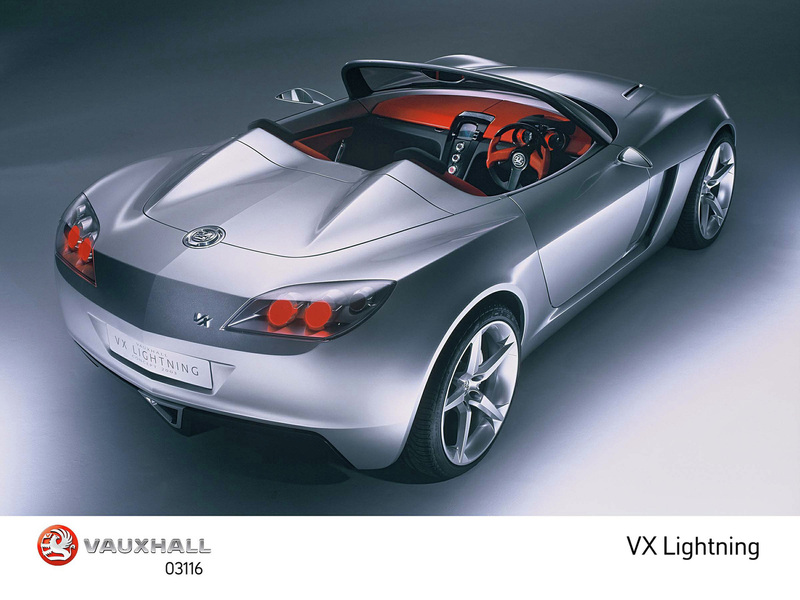 The VX Lightning showed a further evolution of the Vauxhall / Opel form language from the VX220, with a more subtle softening up of the surfaces. 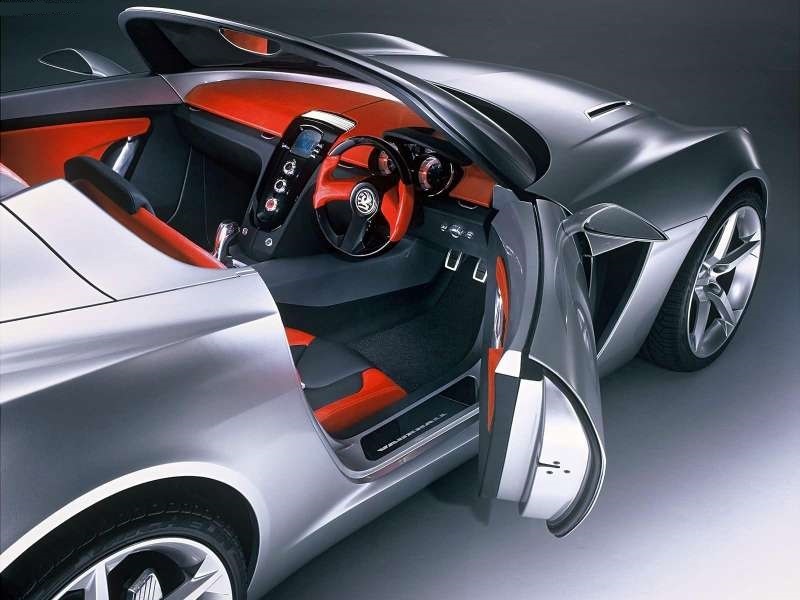 The rollover hoops beautifully sculpted into the rear deck, with just the touch of a crease, is an indication of the new softer, but still edgy direction GM’s European team was taking. An interesting detail is the polished metal air vent panel in the body side air outlet. The rear view mirrors seem to have been formed by high-velocity air, stretching them to a speed shape. Inside, deeply sculptured seats were finished in black and red leather, while red leather was also been used to trim the sweeping dashboard. 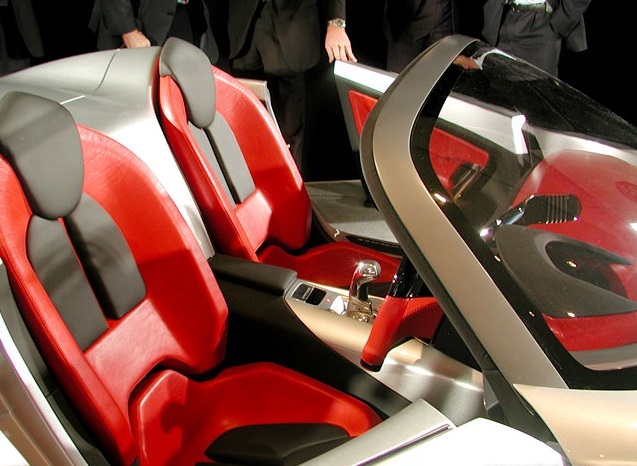 The seats, inspired by Italian motorcycle racing gloves, were untreated red aniline leather with a thick buffalo-type grain. Pads of dark charcoal leather were added over the surface or in the case of the door and the IP hood, the red leather floats as a panel over the surface, slightly offset from the main structure. 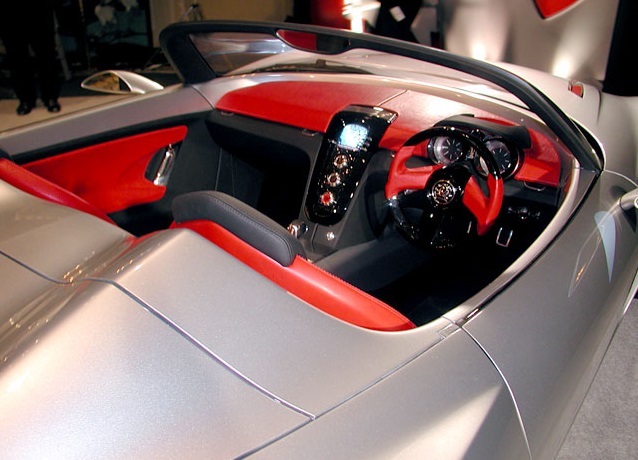 The ebony piano lacquer used as an accent on the centre console and framing the instrument dials added a note of elegance that moved the car up a few levels from the Vauxhall VX220. 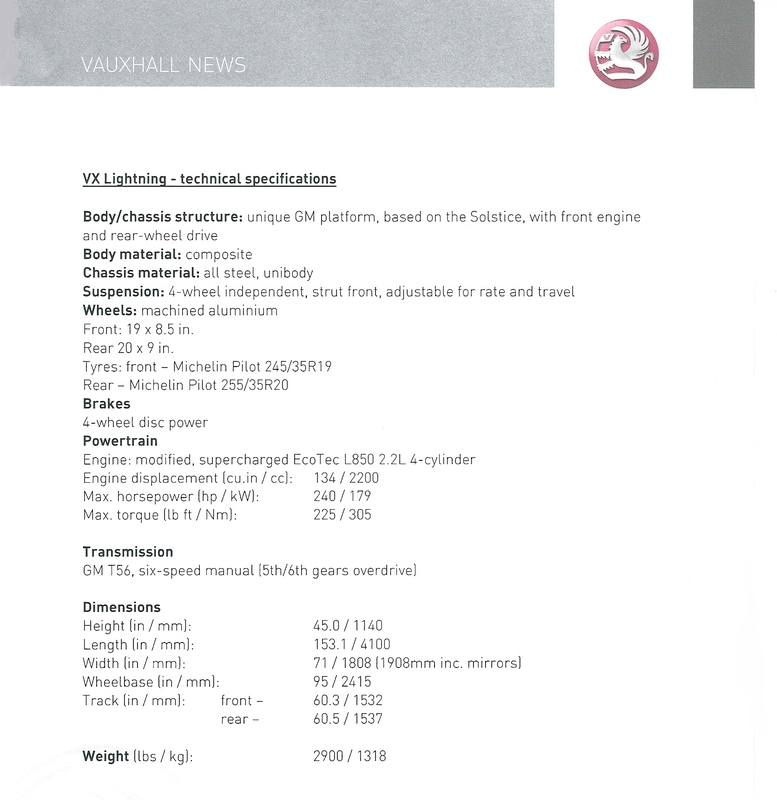 The VX Lightning had a new version of Vauxhall’s all aluminium 2.2 ECOTEC engine, reworked with a supercharger to produce a maximum power of 240hp and 305Nm of torque. 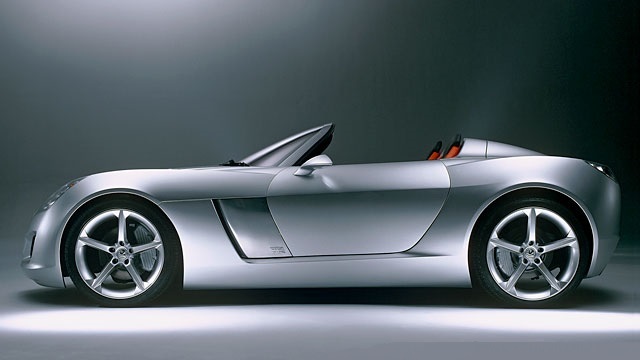 A six-speed manual gearbox was mated to the new engine, which drove the rear wheels. 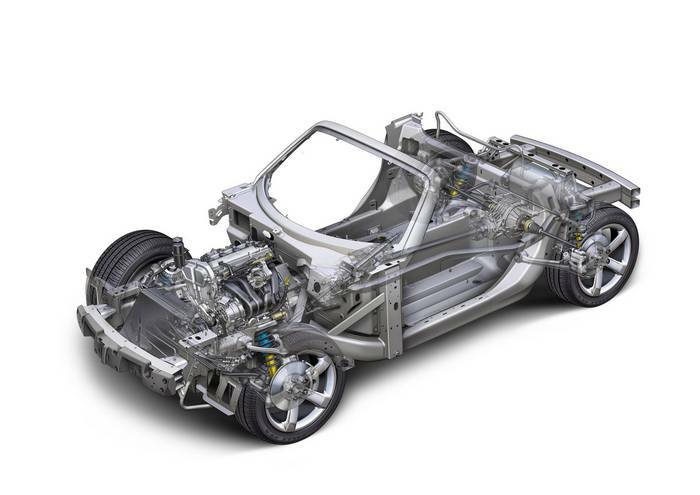 The chassis incorporated independent suspension, the front end using a simple and reliable strut configuration with rack and pinion steering. At the rear, the independent suspension was all aluminium for weight saving. Overall, the car managed a near perfect 50:50 weight distribution for handling and agility. The vehicle used a 95-inch wheelbase, was 45 inches high, 153.1 inches long, 71 inches wide and weighed 2,900 pounds. It rode on 19-inch alloy wheels in the front and 20-inch alloys in the rear, with Michelin Pilot rubber. 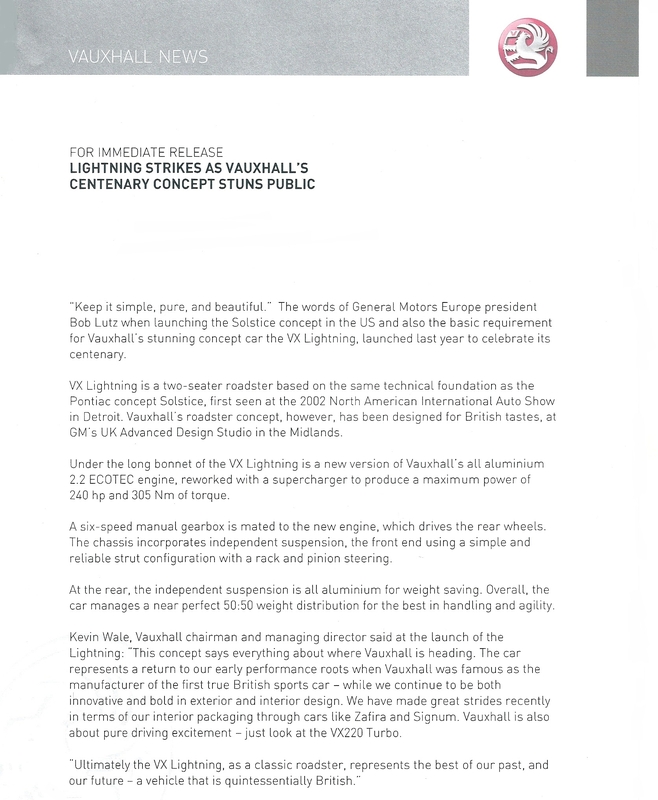 Kevin Wale, Vauxhalls Chairman and Managing Director, described the Lightning as "a return to our early performance roots when Vauxhall was famous as the manufacturer of the first true British sports car – while we continue to be both innovative and bold in exterior and interior design." 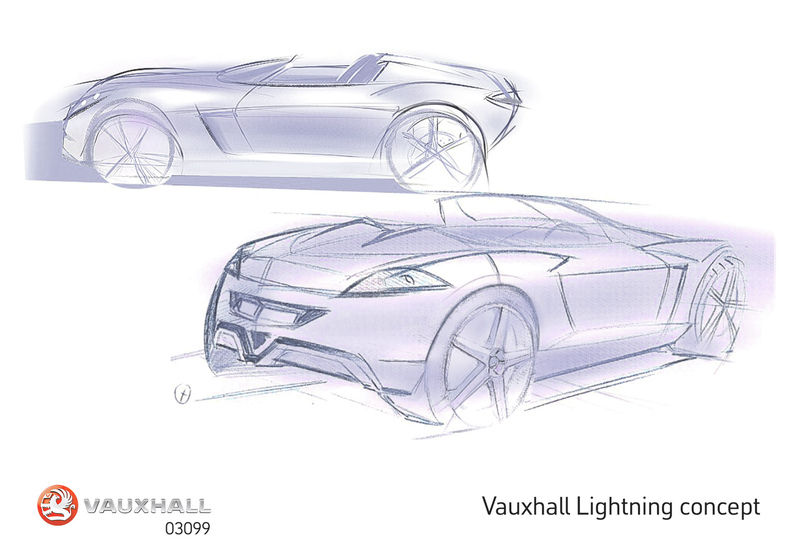 He added, "Ultimately, the VX Lightning, as a classic roadster, represents the best of our past, and our future – a vehicle that is quintessentially British." At the time rumours swirled in and around Detroit that the production Solstice would go ahead, which it did. 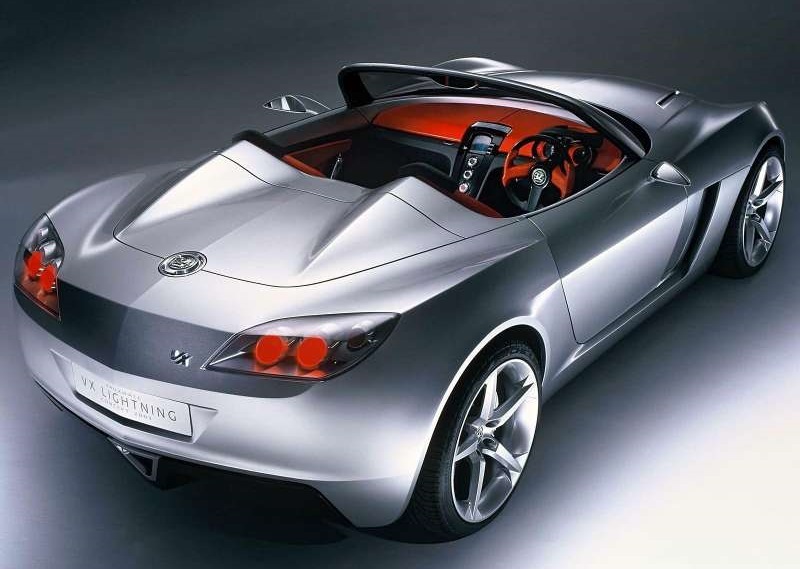 There was also serious hope that the Lightning would go into production, but it did no more, along with the GTC Geneva concept, than give an indication of the Vauxhall / Opel new design direction, and a prequel to the Frankfurt Motor Show in September that year. It was a fitting tribute to Vauxhalls 100th birthday - a sports car designed and built in Britain. Check out the jigsaw of pictures below for a full blown view of every aspect of the car. "Who says lightning doesn't strike twice? 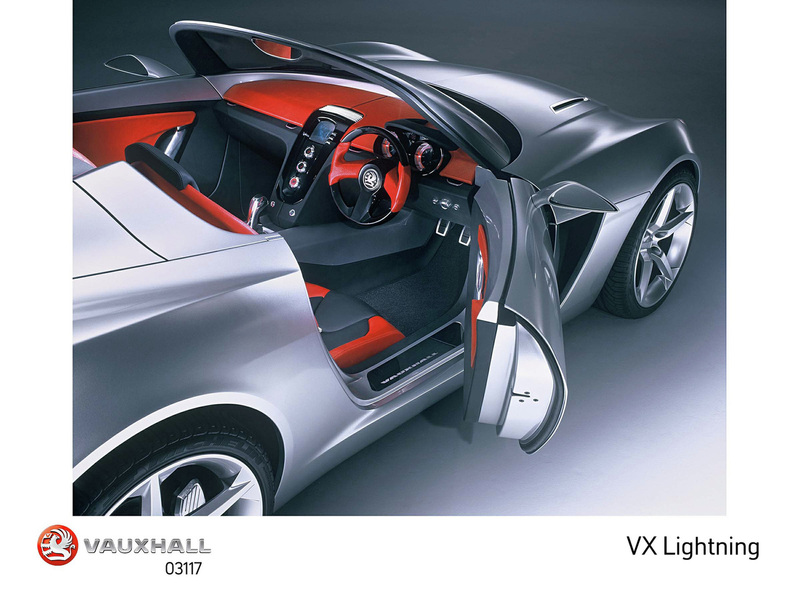 As well as being the first magazine to reveal the sensational new Vauxhall VX Lightning, Auto Express has become the first behind the wheel as well. 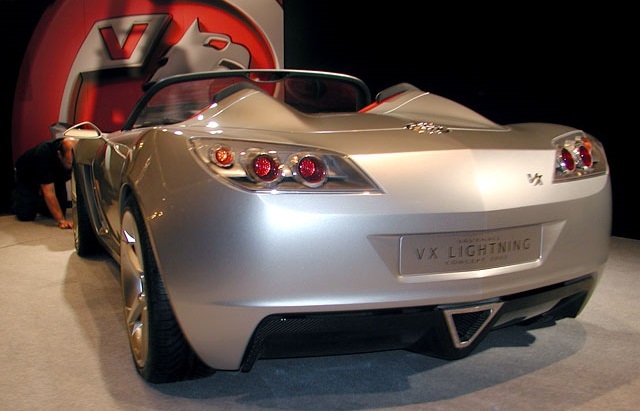 Although a concept, the VX Lightning is a remarkably well developed car. As well as being one of the best looking Vauxhalls ever, it proved great fun to drive on our short test. Unlike most show cars, the engine is a delight and the suspension feels sorted. Even the switchgear actually works! 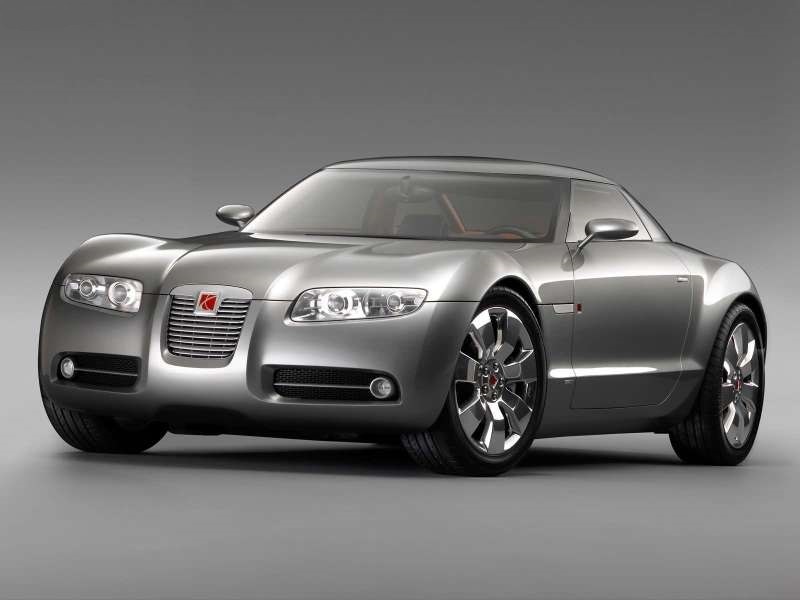 With a £23,000 target price, it is bound to cause a storm when it arrives in 2005.
Who says lightning doesn't strike twice? As well as being the first magazine to reveal the sensational new Vauxhall VX Lightning, Auto Express has become the first behind the wheel as well. When the high-voltage VX220 replacement took a bow earlier this year, we knew we simply had to have a go. And now, two months later, our wish has come true. We grabbed the opportunity to fire up the car at the Goodwood Festival of Speed, where it took pride of place on Vauxhall's stand. 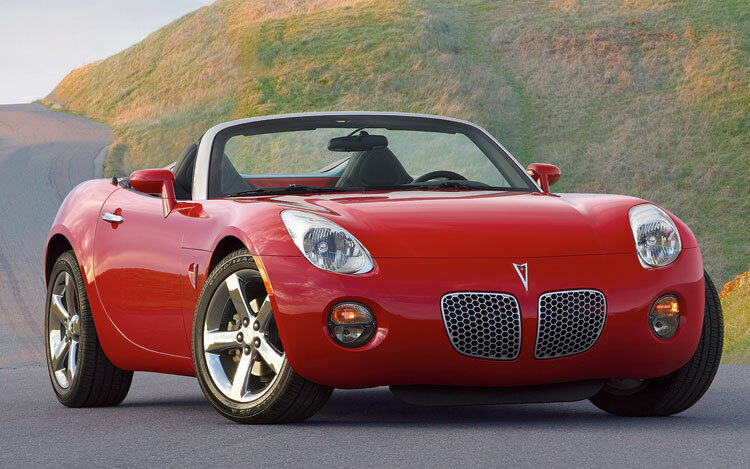 Based on the Pontiac Solstice, revealed at the 2002 Detroit Motor Show, the model has been styled exclusively in the UK. 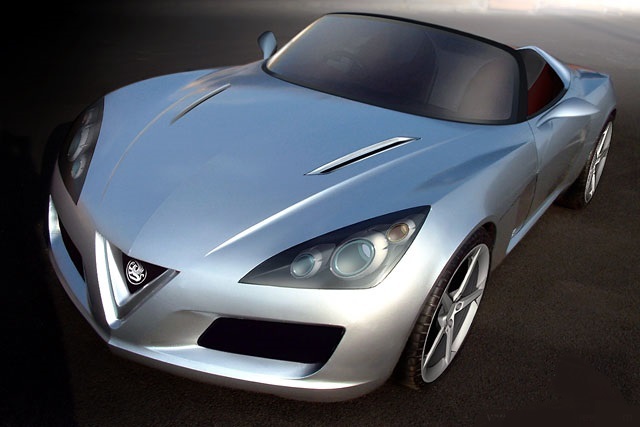 Powered by a supercharged 2.2-litre four-cylinder engine, the Lightning is bigger than the current VX220, which shares its platform with the Lotus Elise. At the front, the Lightning gets angular wings and an arcing bonnet. Further along the body, the classic looks are enhanced with short overhangs and a carbon fibre undertray - and there's even a practical boot. 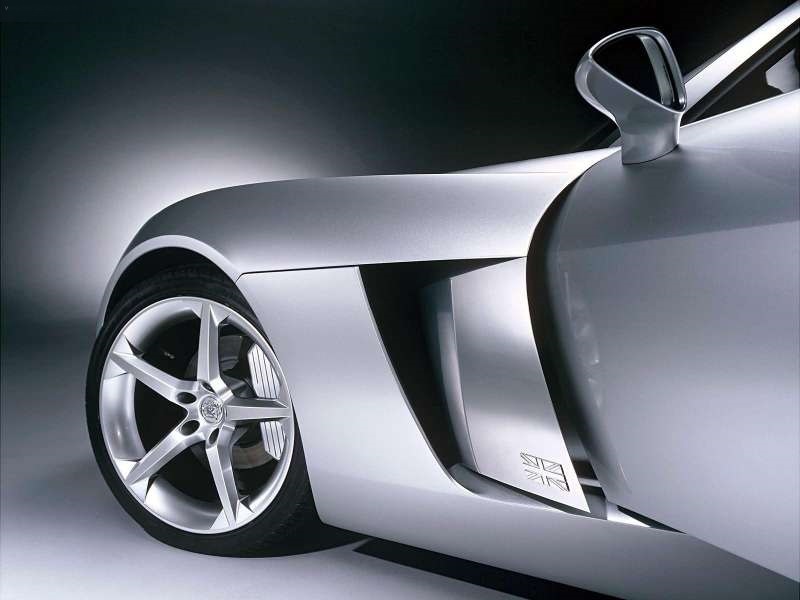 Twin rollover hoops are hidden beneath the beautifully curved bodywork. Massive alloy wheels - 19 inches at the front, and a staggering 20 inches at the rear - fill the arches. There are no door handles, but you gain access to the interior by pressing a discreet button just ahead of the roll hoops. You'll need to drop yourself carefully into the floor-mounted, leather-clad seats; the driving position is incredibly low, but very comfortable. The button steering wheel is moulded to the shape of your hands and the pedals are neatly spaced. The aluminium gearlever, meanwhile, is mounted high in the transmission tunnel, and shifts are only a wrist flick away. There's a great view of the road ahead, but thanks to the low seats, you don't feel exposed. Starting the car is simple. Flick a switch under the dashboard to connect the fuel pumps, then press a big red button mounted in the centre console. The engine spins eagerly into life before settling to an urgent idle. At first, you could easily be forgiven for thinking the exhaust sounds very much like the current VX Turbo's. But as you dip the clutch, select first gear and head for the open road, a significant change takes place - and it's all down to the supercharger. Floor the throttle and the compressor wails noisily. 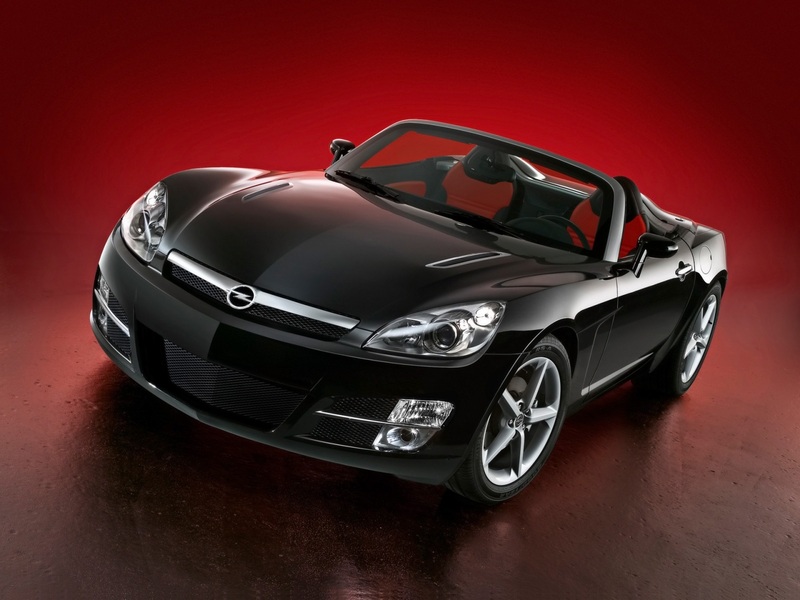 With the engine producing 240bhp and 305Nm of torque, the Lightning flashes forward. More urgent at low revs than the Honda S2000, and as tuneful as the Porsche Boxster, the car is great fun to drive. Gearchanges are short, but the ratios are surprisingly well suited to the engine. The steering is needle-sharp, delivering great precision, and the only thing that reminds you the Lightning is a concept rather than a production model is the high gloss finish to the trim. Even the suspension feels remarkably advanced, offering a great deal of stability. However, cast in aluminium, the independent set-up creaks and groans over big bumps, and feels too stiff for comfort on long journeys. Pricing is not confirmed, but is likely to be around £23,000. However, bear in mind that the firm is in no hurry to get the car on sale. With order books just opened for the new VX Turbo, it will be 2005 before a production Lightning hits the road. The countdown begins"